American Samoa is the southernmost U.S. territory and consists of a group of five volcanic islands and two atolls in the central South Pacific Ocean. American Samoa is one of the original members of the U.S. All Islands Coral Reef Committee (AIC). *Download 1-pager: 1-pager about American Samoa (PDF; 669KB). 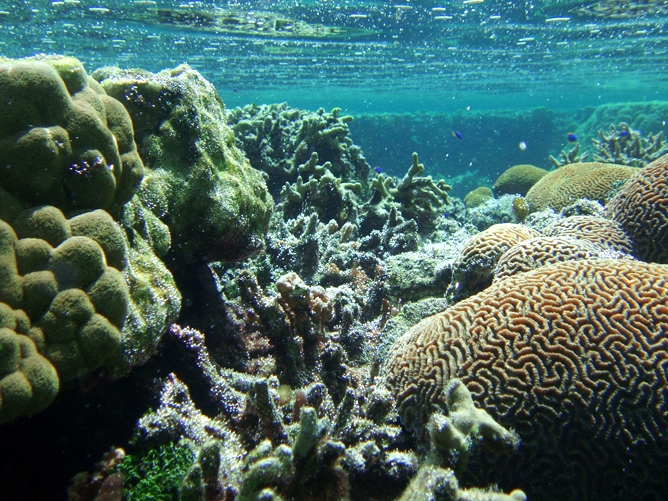 American Samoa’s coral reef ecosystems are home to many species of Indo-Pacific corals, other invertebrates, and fishes. A 2005 study cataloged over 2,700 marine species. The coral reefs of American Samoa are culturally, economically, and ecologically important to the Territory. American Samoa’s corals have largely recovered from a number of natural disturbances in recent years; however the ecosystem continues to be impacted. Factors, such as population growth, have contributed to coastal disruption, fishing pressure, loss of wetlands, soil erosion and coastal sedimentation, solid and hazardous waste disposal, and pollution, all of which have a negative impact on coral reef health. 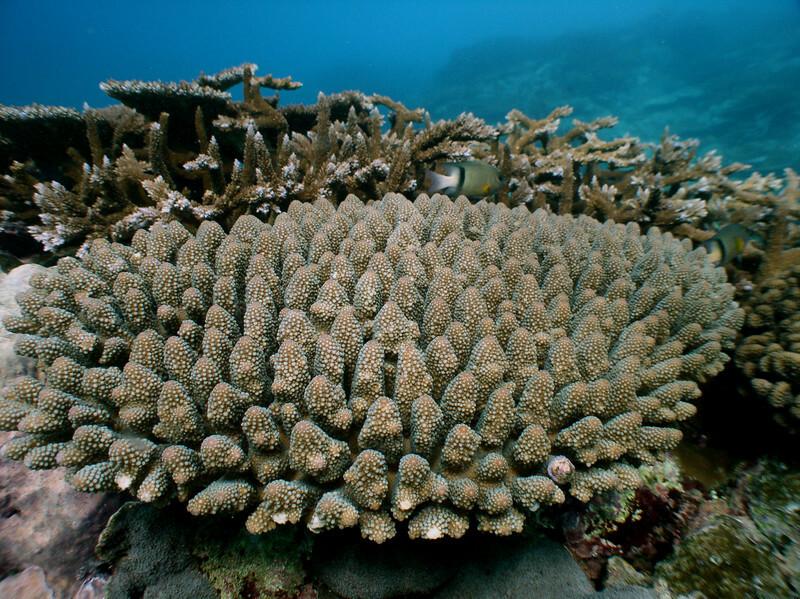 Additionally, crown of thorns outbreaks, harmful fishing practices, coral bleaching, and coral disease have also affected American Samoa reefs. In American Samoa, the Coral Reef Advisory Group (CRAG), coordinates coral reef management efforts and activities. The group is a collaboration of five local agencies: the Department of Marine and Wildlife Resources, the Department of Commerce (including Coastal Management Program and National Marine Sanctuary of American Samoa), the American Samoa Environmental Protection Agency, the American Samoa Community College, and the National Park of American Samoa. The Faga’alu management plan will be reviewed and updated on progress since 2010. Additionally, it will focus on how departments can continue to help improve strategies, projects, and efforts. Faga’alu quarry’s corrective action plan will be reviewed by an outside contractor, with assistance from the American Samoa EPA. The DMWR has been working towards combining their coral reef monitoring programs into one integrated American Samoa Coral Reef Monitoring Team. A combined monitoring protocol has been developed to be implemented at 20 priority sites around Tutuila. 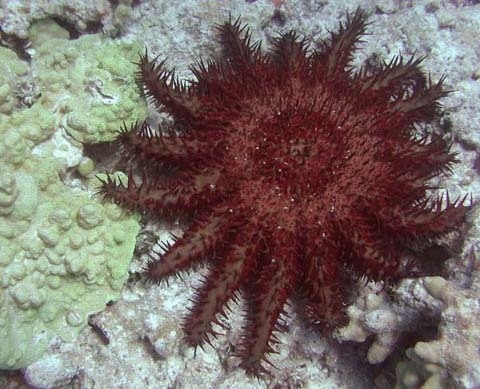 Agencies are working with commercial fishermen to control the 2013 crown of thorns outbreak. Follow-up to PIMPAC Climate Change Adaptation training, including working to expand and improve community-based plans and activities. Seeking funding to improve education and outreach in local communities, accomplishing goals from the American Samoa Framework for Adaptation to Climate Change regarding climate change impacts and adaptation planning. The Population Commission held a Population Policy Workshop in July 2013, which addressed: Immigration, Reproductive Health, Education, Integrated Planning, Youth & Gender, and Environment.